With its graceful lines and organic ornamental motifs, the Dragonfly is a true Art Nouveau design which makes a really striking addition to any room. Range: 790H, with 3 - 50 sections. Finish: Very wide range of finishes. Pipe Centres: 112.5 off skirting, 105 up from floor. 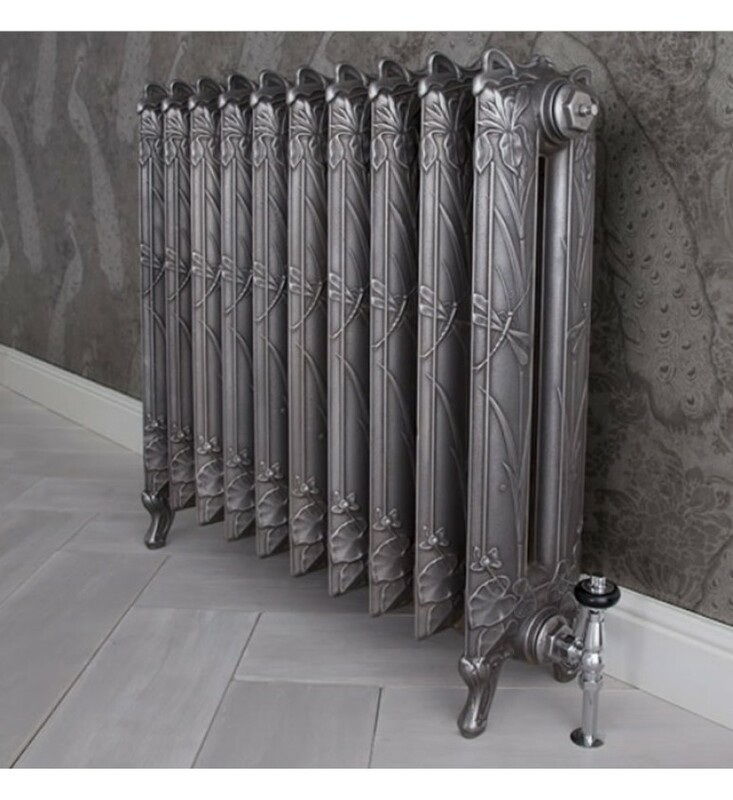 Guarantee: Carron cast iron radiators all qualify for a lifetime guarantee if registered within 60 days of delivery. FREE Delivery: UK mainland, Highlands excepted.